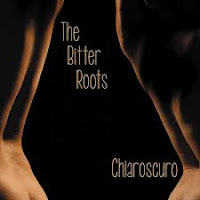 RockUnitedReviews: The BITTER ROOTS: "Chiaroscuro"
The Bitter Roots, a band from Seattle, US of A, consisting of vocalist/guitarist Jeff Stetson (ManSaveMan, Into The March), drummer ben Koostra (Silkworm, Ein Heit) and new bass player Don Allen. This is clearly a more experimental outfit than your average grunge act, introducing quite the vivid ideas together with a more eighties alternative approach, as the band draws from Punk, Metal, Garage, and lots of Pop. The sound of the album, overall, is vintage indie alternative and recorded live in the studio to analog tape. Right, there's no click track, auto-tune, samples or basically anything post 1992. Indeed, old skool alternative, "Chiaroscuro" is a record which jumps all over it's influences and heroes. It's their third full-length release and late 2012 it reached #26 on the itunes New Rock chart and has been on the College Music charts across the states. Thank You for the nice Review Wally, Most appreciated. Black Rose: "Turn On The Night"
WHEN THEY WAKE: "Be Your Own Hero"
RIVERA/BOMMA: "Infinite Journey Of Soul"
REQUINOX: "Through The Eyes Of The Dead"
ROCK CANDY FUNK PARTY: "We Want Groove"
COMA: "Don't Set Your Dogs On me"
TRICK OR TREAT: "Rabbit's Hill Part 1"